I’ve always admired women artists, because ever since I was a young girl, I wanted to be an artist, but didn’t think I was talented enough. When I look at other women’s artwork, and read about them, it inspires me, and makes me think I can be an artist, because if they can do it, so can I. 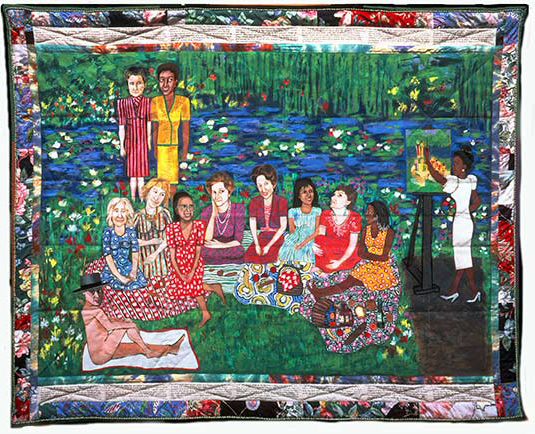 Faith Ringgold is an artist who is mostly known for her magical storytelling quilts which combine storytelling, quilting, and painting. 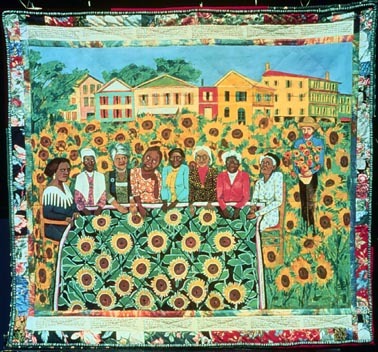 Born in 1930, in Harlem, New York, Faith grew up in a loving family, and got her Bachelor’s and Master’s degree in Fine Arts at The City College of New York. 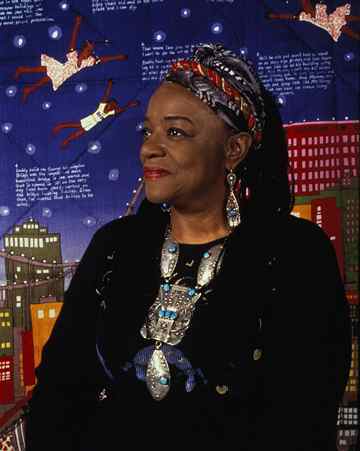 She has exhibited her work in many museums all over the world, and has her work in the permanent collections of The Museum of Modern Art, The Guggenheim Museum, and The Metropolitan Museum of Art.